Roger Longman is CEO of Real Endpoints, a start-up company focused on pharmaceutical reimbursement, and aiming to help both payers and product developers improve the value of pharmacotherapy. Its first product assesses – systematically, objectively, and transparently – the value of drugs relative to their competitors. Merck and UnitedHealth's Optum group have partnered to explore various value constructs. Although stakeholders are interested in value-based models that link a drug’s performance to emerging evidence of improved patient outcomes, such agreements are difficult to implement and too limited in scope to drive a shift to value-based reimbursement. The authors suggest a new, structured approach to bring these contracts into the mainstream, thus transforming product reimbursement and fueling the shift from volume to value. 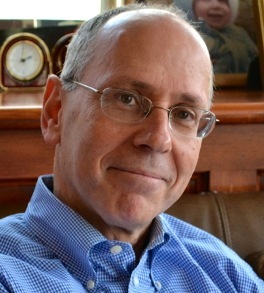 As physicians lose decision-making authority to payers, argues Roger Longman of Real Endpoints, drug companies need to segment markets more effectively: the patient populations prescribers are most likely to treat and that will spark the fewest access battles; and the specific payer lines-of-business least inclined to block new drugs' use. Incumbency ain’t worth what it once was. Pharma companies are spending billions to create advantages that won’t have significant lasting power. Smart followers can do as well – for less. Physicians have been demoted from key decision-maker to stakeholder while payers have gone from stakeholder to key decision-maker. Business development strategies need to adjust.